For catering purposes, there will be two sittings – 9.00-9.30am and 9.45-10.15am, but stay and enjoy the morning! Booking essential: Telephone 01295 738334. 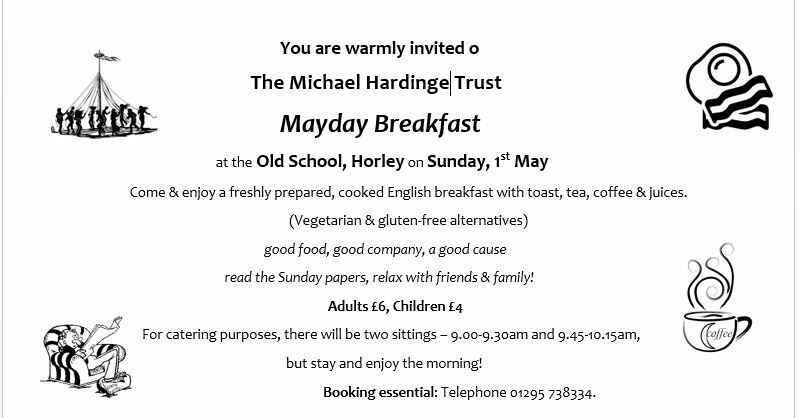 This entry was posted in Activities and tagged Breakfast, May Day, Michael Hardinge Trust on April 10, 2016 by thehorleyviews.